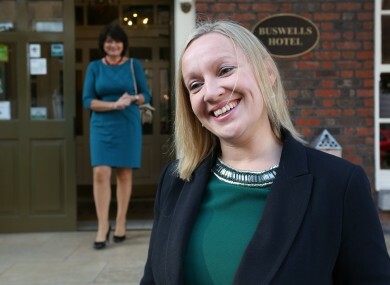 DEPUTY LUCINDA CREIGHTON has given birth to a baby girl. The former Fine Gael junior minister, and current Reform Alliance member, had confirmed last November that she was expecting a child with husband Senator Paul Bradford. The couple married in a low-key ceremony at Trinity Chapel in Trinity College on 29 April 2011, so baby will make three for their third anniversary next month. The couple met in 2008. In 2013, they were both expelled from Fine Gael for voting against the party over the Protection of Life During Pregnancy Bill. Email “Lucinda Creighton gives birth to baby girl ”. Feedback on “Lucinda Creighton gives birth to baby girl ”.